Sometimes you have to just treat yo’self! Oh, and I definitely treated myself this past month with some fun goodies. I’ll be reviewing most of these in the near but not right now near future. I like to test my products for a while before reviewing them. I don’t want to wear it once and be like “OMG BEST EVER GOING TO MARRY THIS LIPSTICK!”. I’ve got yo’ backs. A few of the first items I purchased were these eyeshadows. Lime Crime Cosmetics was having an amazing summer sale and I couldn’t resist. I paid 10 dollars for each palette. That’s ridiculous! I’ve only just swatched these and was very happy with the pigmentation. I’ll have to see how these wear, though. I’ll keep y’all posted. This one is Lime Crime’s Amethyst palette. It’s similar to the D’antoinett. I swatched these and they’re just absolutely stunning. 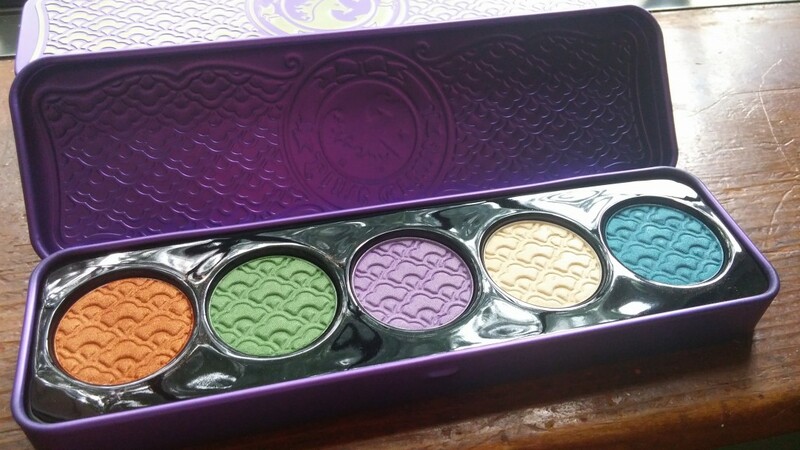 I think this one is my favorite palette out of the three. 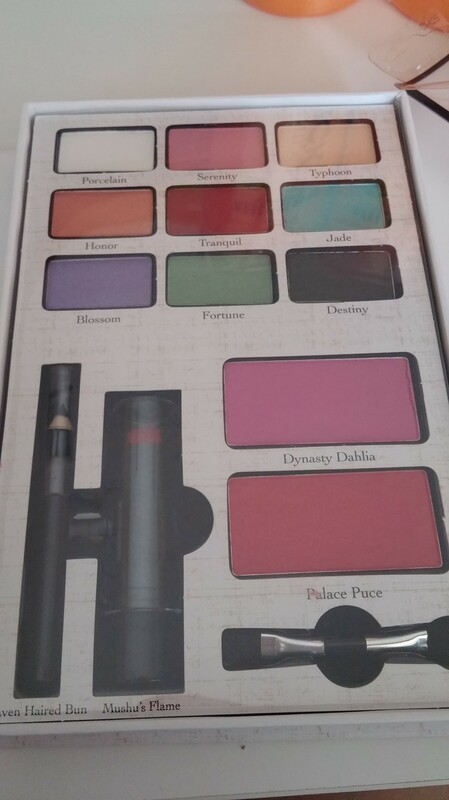 D’antoinette palette and it’s gorgeous. The colors are more matte and such pretty pastels. I ran out of shampoo and conditioner so I bought these Marc Antony ones. 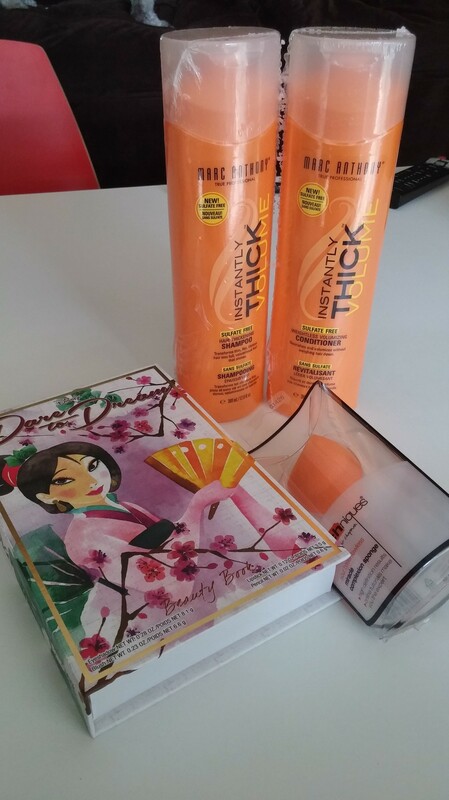 There’s also the Real Techniques beauty blender and the Dare to Dream Disney’s Mulan palette which I am over the moon for. 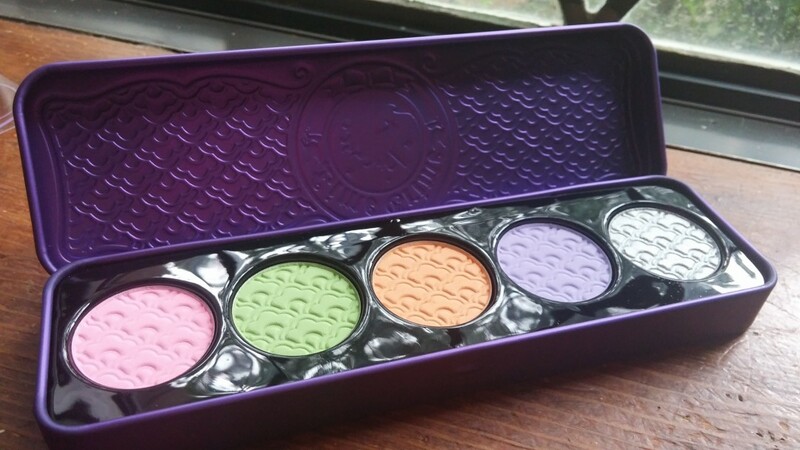 If you’ve been following my blog for a while, you’d know I collect these Disney palettes. This Mulan one was just perfection. I love the color range and the lipstick is incredible. This is another product I have to test out a bit longer to let you know how I feel about it. As for the shampoo and conditioner by Marc Anthony, I’ve used it twice and I’m not completely in love with them. I’ll keep at it but so far they’re just okay. Now, the Real Techniques beauty blender I haven’t even used although I’m really excited to. I’ve read so many reviews about it so my expectations are very high. 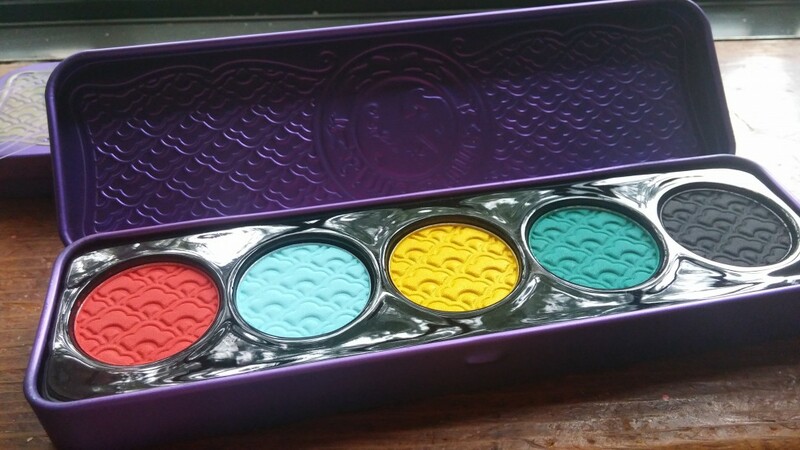 This Mulan palette is killin’ it. I am just in love with the colors. I’ll be reviewing this soon. Last but not least! 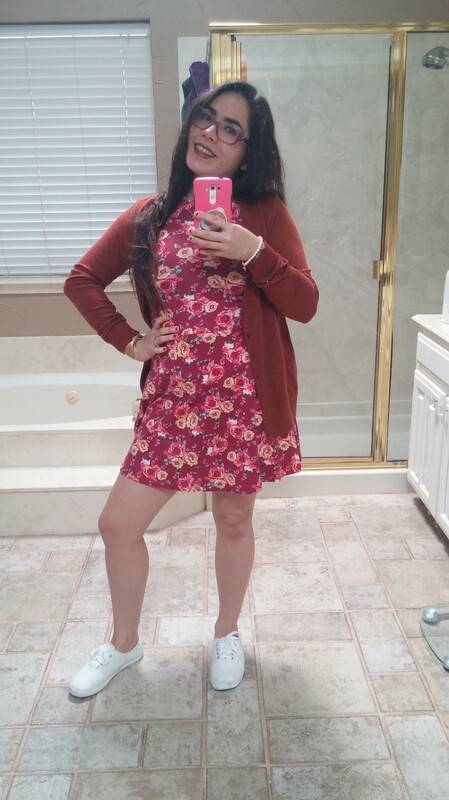 My OOTD! I’m not the type of person to follow color or style trends. I like to wear what I feel like wearing. I like to call this look “I don’t care about your summer colors. I wear what I want”. I just bought this dress off of Forever 21 and I absolutely love it. It’s so pretty and comfortable. The shoes are from Walmart, the cardigan I bought last fall at Forever 21, and the gold beautiful wrist cuff is from Forgotten Cotton. I just bought this dress from Forever21 and I stinking love it. Also, shout out to Forgotten Cotton! I’m wearing their gold bow cuff. I am just into that stuff. I will! It really seems like a fantastic product. My friend swears by it which is why I bought it.